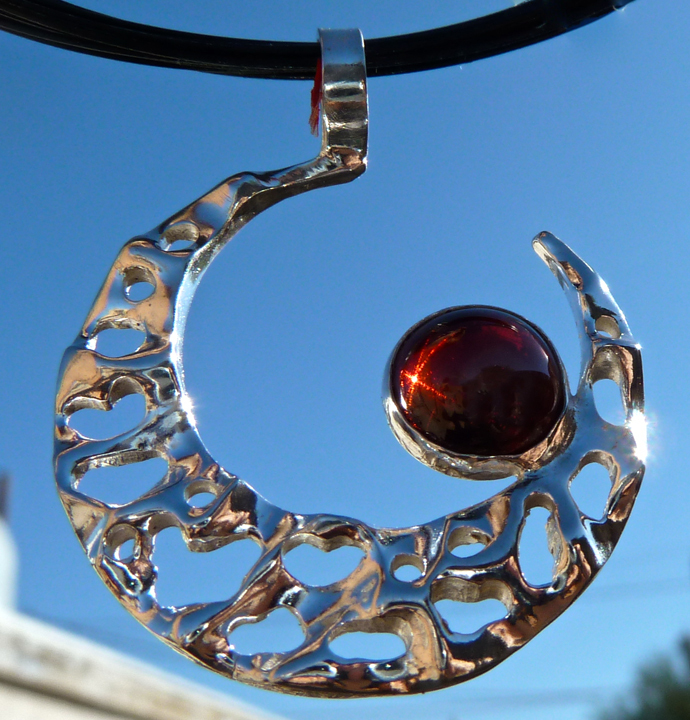 My latest garnet moon pendant. I love the red of this stone! Wow! Inspired by the Scorpio New Moon – very bewitching! This pendant is about an inch in diameter. This item has sold, but a similar item may be made to order. Contact matagisorensen@gmail.com.